Friday, June 19th 6:00 A.M.-1:00 P.M.
Captain’s Meeting Thursday June 18th 7:00 P.M.
MCSFA membership is required to fish this tournament. Designated Captain must be a member. Tournament Time – 6 AM – 1 PM, Must be back inside the pier heads by 1 PM. 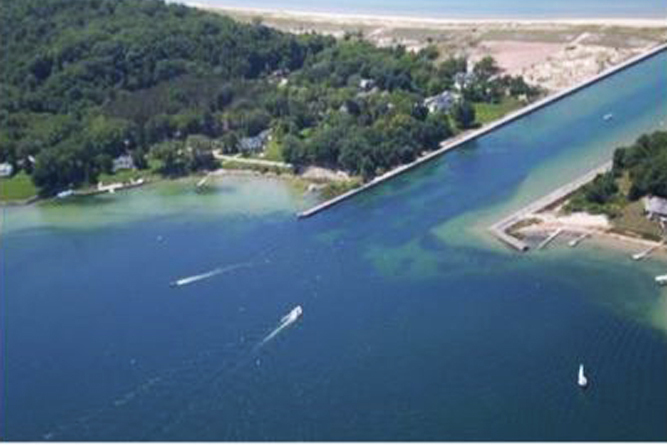 Tri-port start from Manistee, Onekama, and Arcadia. Must leave from and return to your designated port or the team will be disqualified!! 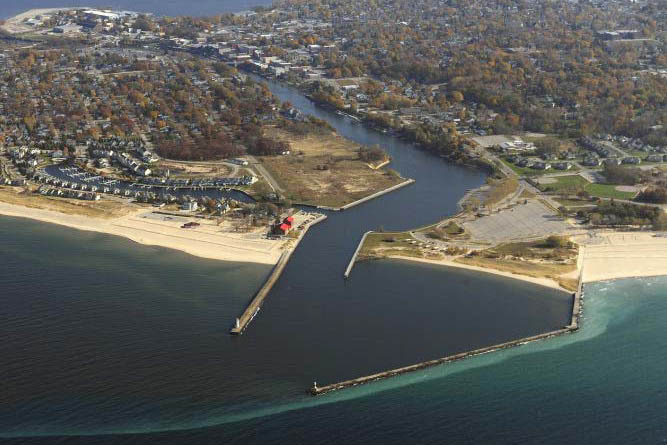 Captain’s Meeting – Thursday, June 18, 7:00 PM at Manistee Lion’s Pavilion – First Street. One member of the team must attend. Location-All events for the Ladies Classic Pro/Am will be held at Manistee Lion’s Pavilion – First Street. Any number of crew members can be on a team. A maximum of 9 rods can be used if you have at least 3 crew members and at least 2 members must be ladies. Observers are not required. When the fish bites the ladies must remove the rods from the holder, set the hooks and net the fish. The guys can help set lines and drive. Guys can help remove planer boards from the line and may help get a diver rod out of the rod holder. All boats must have a marine radio and be at least 16’ long. Weigh your best 5 fish (Salmon, Lake Trout, Steelhead, Brown Trout). All DNR rules apply. Lake Trout must be a minimum of 20 inches. 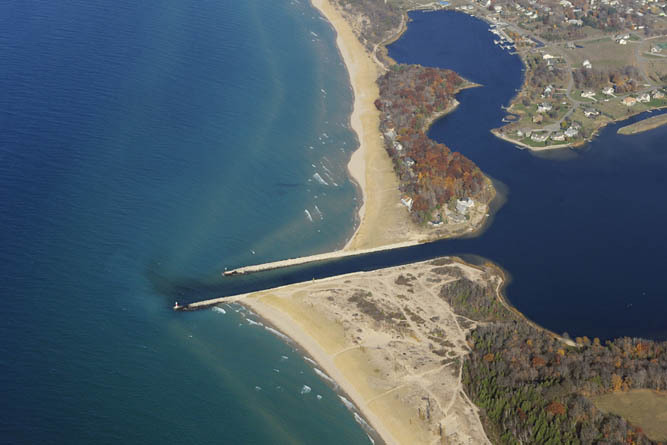 Tournament cooler with no more than 5 fish must be at Manistee Lion’s Pavilion – First Street by 2:15 PM. Transportation of coolers will be the responsibility of the team. Team number tags must be attached to your cooler prior to weigh-in. When you sign up for this tournament, you agree to this procedure and all rules pertaining to this tournament. Total weight plus 10 points per fish will determine the winner. Prizes listed are based on a minimum of 20 registered Pro team boats and a minimum of 30 registered Amateur boats. The number of entries will determine the final prizes. In the event of a tie, the team with the largest fish will determine the winner. If still tied, the prize will be split. A cash prize will be awarded for each of the largest Salmon, Lake Trout, Steelhead and will be a combination of both pro and am teams overall. A trophy will be awarded to the first place team in each division. If the tournament cannot begin by 10:00 AM, it will be canceled. A 3-hour minimum Fishing Time is required to complete this tournament. If this tournament cannot be completed due to uncontrollable circumstances, a refund check will be mailed to all participants within 14 days. However, a portion of the registration fee may be charged to cover any expenses incurred by the MCSFA. Please review the general rules page. !! Rules will be discussed and finalized at the Captain’s Meeting and any questions will be answered at that time. The Tournament Committee reserves the right to decline entry or participating by any person, team or boat, as deemed necessary, to ensure such things as integrity, image, reputation, financial performance and community relationships with sponsors, participants and supporting groups.